Noosa Cats are the singularly most widely used rescue and patrol craft in service in Australia today. A wide range of police and rescue groups have purchased these vessels Australia wide. The following is a brief summary. Australian Army Special Air Service Regiment (SAS) & Commandos 9x3100. Royal Australian Navy 1x2300 + 4x3100 + 4x3500. New South Wales Water Police 2x1850 + 7x2600 + 10x2700 + 7x3000. New South Wales Maritime 8x3000. Lakes Entrance Coast Guard 1x3100. Port Albert Coast Guard 1x3100. Southport Coast Guard 1x2700 + 1x3100. Tin Can Bay Coast Guard 1x3500 + 2x4100. Surf Life Saving Cronulla 2x2300 + 1x3100. VMR Beenleigh / Jacobs Well 1x2300 + 1x2400 + 1x2600 + 1x2700. VMR Hervey Bay 1x2700 + 1x3000 + 1x3100. VMR Mornington/Hastings 1x2300 + 1x2600 + 1x3000 + 1x3100. VMR North Stradbroke 1x1850 + 1x3100. VMR Southport 1x1800 + 1x2400 + 1x2600 + 1x2700 + 2x3100. University of Queensland (Research) 1x2600. New South Wales Research 1x1800. South Australia Ports Corporation 1x1800 + 1x3900. City of Gold Coast 1x3000. New South Wales Marine Parks Authority 1x2700. New South Wales Fisheries 1x2700. Queensland Department of Environment 1x3900 + 1x4100. 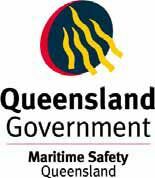 Queensland Department of Transport/ Marine Safety Queensland 4x2700.